Ask an Expert: What Is a Solar Lease? Solar leases, PPAs, financing—there are sure a lot of different paths to solar. The array of different purchasing strategies can seem dizzying when you’re just being introduced to the technology. In this sense, SolarCity can be looked at as an innovator. Their leasing option was one of the first programs of its kind, allowing customers to essentially rent solar systems—in many cases with zero dollars down. Today, we sat down with a former employee of SolarCity, who worked in sales in Oregon, prequalifying customers for their leasing program. A long-time veteran in the solar market, she described to us her role at SolarCity, as well as some of the ins and outs of the leasing program. What was your job for SolarCity? What kinds of things would disqualify someone? When a homeowner signed up for a system, would they be purchasing energy through SolarCity or through the utility? What is the difference between a lease and a PPA? Does the lease contracts allow for buyouts? By that time, solar could be really efficient—that’s exciting to think about! Thanks for talking us today! I would pre-qualify people and set them up for appointments with the people who would actually go to their house—there were many layers of people. There were the people who would go to their house and explain how the financing worked and whether they were qualified. My job was a lot of sales, but it was also understanding the rules in Oregon that would allow someone to qualify for solar, and also with the incentives attached. But it would also have to be good for them financially. 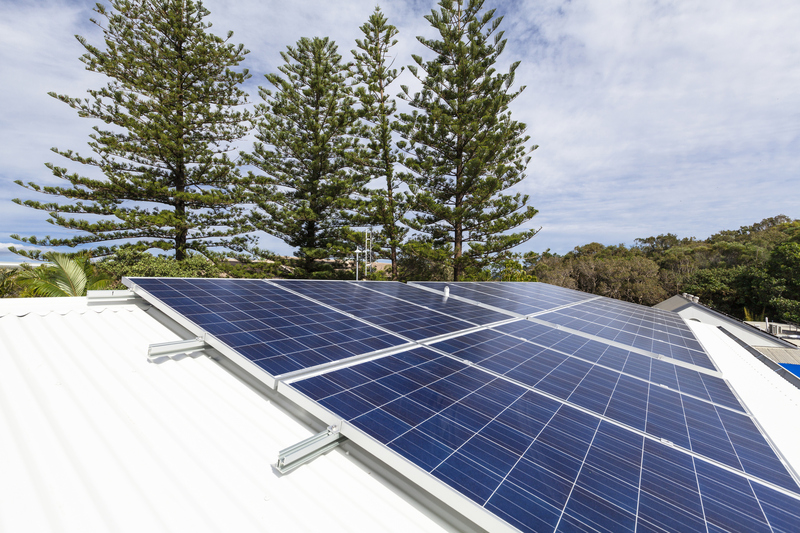 If someone didn’t qualify for a tax credit, usually that meant that their house was really shaded or it was oriented the wrong way—which would cost them a lot of money to install panels—so the only reason they would want to go solar is for environmental reasons. I would also try to explain to them what portion of their bills solar would offset. My information would be more specific to Oregon…and around here, the biggest disqualifier would be trees. Also, different jurisdictions had different incentives. I was in an area that was right next to Portland. I was stationed in a Home Depot—although I wasn’t a Home Depot employee—and I saw a lot of people who were from half an hour away, smaller towns, and then also people from Portland proper, and other Portland suburbs. So part of my job was knowing which cities and utility districts offered the kinds of incentives that would allow them to qualify for a system with SolarCity. That doesn’t necessarily mean that they couldn’t get it through another installer. Besides the trees, another big disqualifier—at least in the city of Portland—was the structure of their home. The city of Portland proper is very strict about building codes, and they have stricter rules about the structure, and how it was supported. As a result, there were a lot of older Portland homes that wouldn’t qualify, based on how they were constructed. And it would have been impossible to retrofit those homes without removing living space. Another reason—though not nearly as common—was that people would want to put solar on a rental property or building. But in Portland, they only offer their residential energy tax credit to people once every five years, so if someone has already claimed that tax credit in the past five years, they can’t claim it for a residential. 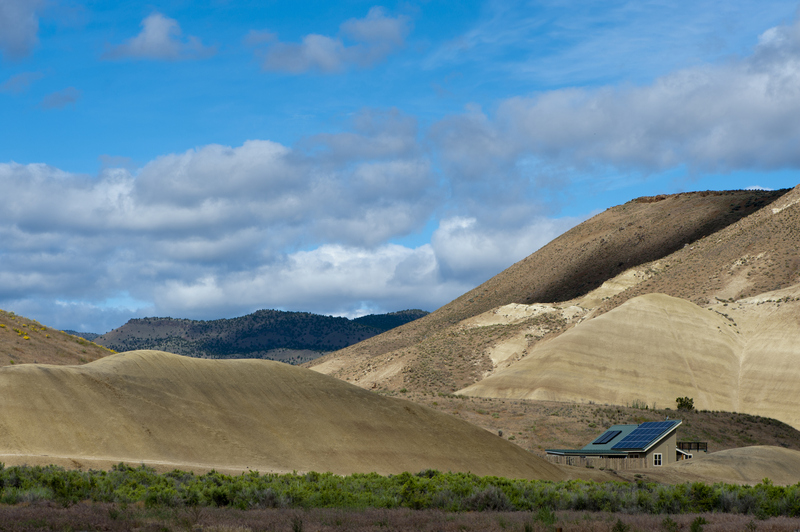 And then the energy credits in Oregon were drastically cut back—I think it was 2010 or 2012—and so it doesn’t make a lot of sense for small businesses to invest in solar right now, at least not until a lot of other tax credits come back or the price went down. And then some people just didn’t have the tax liability. In the federal tax credit, that can be pushed forward if you don’t have the tax liability, so you can claim the rest of it in subsequent years. But in Oregon, the tax credit is up to $6,000, and it’s divided into four years—$1,500 per year—and you can only extend it one year. So if you’re not paying $1,500 in state of Oregon income taxes every year, then you’re not going to be able to claim that full credit. So people who are making less than say, $40,000, might have a hard time claiming all those credits. Finally, some people just already have really efficient homes, and they didn’t have the energy draw. Maybe their electricity was only $30 a month because they had gas appliances, or they had solar thermal or something like that. For them, it didn’t make sense, either, because SolarCity would only install ten panels at once. We weren’t allowed to install a system that was larger than their electric bill—or their annual average—because of the incentive rules through Oregon’s Energy Trust. Both. It really depends on the system size that you’re getting. All the tax credits are grid-tied. So if the system is large enough to offset your annual energy use, you’re still connected to the grid because you’re still going to be using some energy from the grid, like at night, or in the winter. So that average is an average—you can get net-zero with the number of kilowatts on your system, but you’re still going to be tied to the grid. So PPAs and leases are very similar. SolarCity, when I was there, was really pushing away from the solar lease product. And now since I’ve left, they also have another product that they’re offering—a system purchase finance option—which wasn’t available when I was there. They did. You could buy out the system at the end, or at five years in. But in my personal opinion, it doesn’t make sense, because in 20 years after the solar lease program is over, who knows what the technology will be like?